One of our favorite things about Aveda color is its natural ingredients. Up to 99% naturally-derived, Aveda color contains nourishing plant-based ingredients and protective plant oils like jojoba, castor and sunflower. 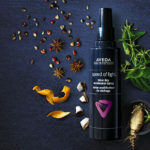 These plant oils help with shine and prevent unwanted damage—and some even have those dreamy Aveda smells for an even more elevated sensory spa experience. Aveda color gives off a natural shine, well—naturally, thanks to its plant-based botanical ingredients. And because of Aveda color’s gentle and refreshing nature, getting a color service can actually be considered a treatment for your hair. For an additional boost of sheen and nourishment, we offer glossing services as an add-on to your color, like a Hair Color Shine Treatment. (It’s a big bonus to add serious moisture to your tresses if you need it.) Ask for it before your service—and be prepared for the serious wow-factor it brings after. Aveda color is designed to be vibrant and fade-resistant, but the longevity of your hair color greatly depends on the kind you choose. Aveda’s Demi+ demi-permanent color lasts about 24 washes, and permanent color will remain until your hair grows out. For extra color conservation and color-specific care, Aveda Color Conserve Shampoo, Conditioner, Strengthening Treatment and Daily Color Protect are all part of the Color Conserve system that completely changes the color-care game. The system protects color by preventing fading and maintaining its vibrancy, thanks to the plant-based power that seals in hair cuticles. It’s nourishing—not stripping—formulas retain radiance and bolster your hairs’ strength, so you can make your color-treated hair life your very best life. 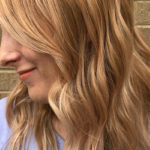 No matter if you’re looking to refresh your locks with a natural balayage or get a serious switch-up with some fashion color, consider us (and Aveda color) your go-to. Book your appointment online now, or stop in and see us at any of our three locations to pick up some more Color Conserve.